ALERT which is an acronym for something like African Lion Environment … (I can’t find it on their outdated website) first came up on our radar in Dec 2015 when we were told that Animal Planet had aired yet another bogus show that claimed to be real conservation but seems to be nothing more than a series long advertisement for a lion pay to play scheme. The show, called Roaring With Pride, filmed in 2013 – 2014 by Godunnit Productions proclaimed that it was a series that followed the release of captive bred lions back into the wild. I knew right then it was going to be a lie, since there have been no successful captive breeding programs for big cats who have then been released into the wild. The only ones you hear of are the entertainment – disguised – as – science shows that air on Animal Planet and History channel. 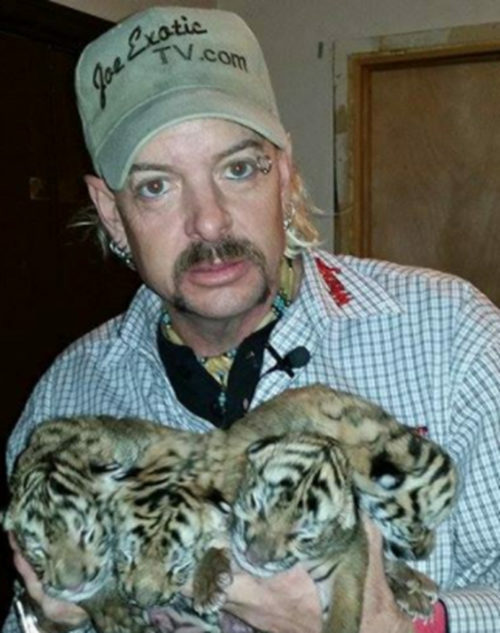 Breed cubs to use in photo ops and pay to play schemes. Then you can charge people to walk with them in the wild. Then you can send them out to live free when they are too dangerous to use as photo props. is just beyond belief. The sad part is that people want to believe it, and television caters to the lowest common denominator. Knowing this place had to be bad, or ill conceived at the best, this is what I’ve learned. ALERT’s website has a story dated 2012 on its main page, which would indicate that it isn’t updated very often. See screen shot below. It used to be that tourism sites would promote these pay to play schemes, but now it is so commonly known that there is no legitimate way to play with cubs and then send them to the wild. In fact, what the real documentaries and investigators have found is that these cubs usually end up being sold into canned hunts where they are shot in fenced areas for a hefty fee. 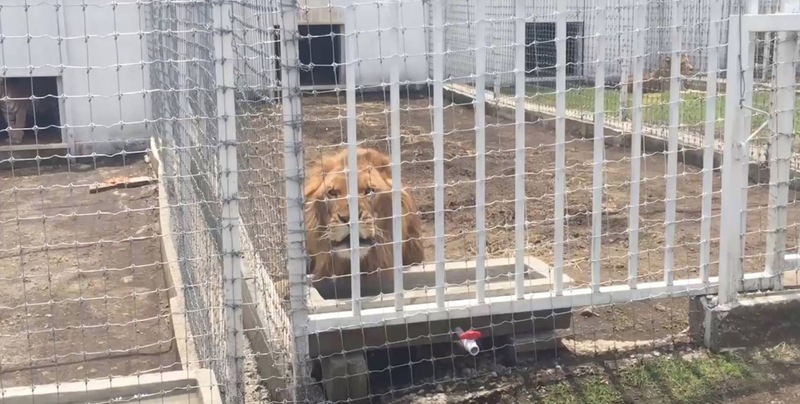 It appears that ALERT bought many of their lions from some of the canned hunt facilities. Most people will say they started off with good intentions, but to our knowledge they haven’t released or even gone passed stage stage 2 of 4 in their release program. In the show they boast that the lions have been released into the “wild” but then they further describe that as being 400 acres. That isn’t even one square mile. It’s no where near enough space for the cats to survive, which is evidenced by the fact that they have to keep rounding up zebra, giraffes and other hoofstock for the cats to kill. So far no one has caught ALERT selling lions, but they are still breeding, which is ridiculous, given the lack of space, resources or any long term plan for cats who will never be released to the real wild. Using their lions in walks with people ensures that they will never be candidates for release. Andrew Connolly, Director of ALERT, Lion Encounter Zambia and Antelope Park (where ALERT is based in Zimbabwe) was the named importer of 10 lions from Myburgh Farm in South Africa under a CITES export permit dated 3 October 2008. ALERT / LION ENCOUNTER ZAMBIA’S SUPPLIERS. ALERT apparently ‘…expressed concern over the purpose for which this particular operation is breeding lions as well as the welfare conditions of the lions at that operation’ (above Safaritalk link). This, however, would seem to be contradicted by their partner’s imports from that operation. Boschput Game Farm breed lions for sale and, from their lions for sale page, given that those pictured are all adult males who would be prized as trophies, it seems entirely possible that they could also be selling lions for canned hunts. Myburgh Farm describes itself as a lion ‘farm’ on its website and is also heavily involved in the exploitation of captive bred lions for cub petting and photo ops. 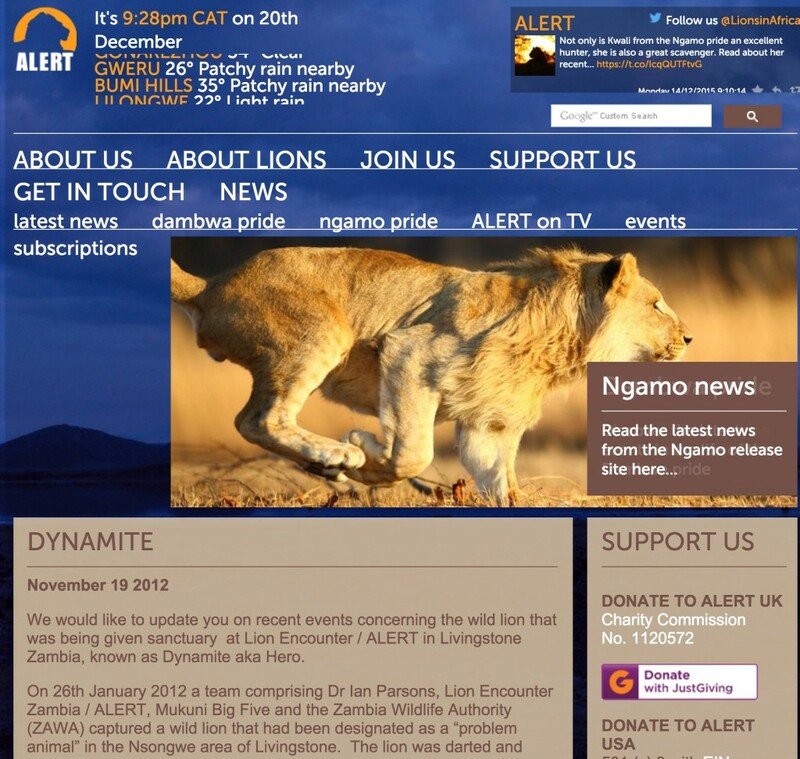 Unfortunately it seems this lion, named ‘Dynamite’ who is still the subject of their main web page as of Dec 2015, subsequently died in transit (http://www.lionalert.org/article/217) from Lion Encounter Zambia. So, to sum up, what we have here is official Parliamentary evidence of 29 lions sourced by ALERT / Lion Encounter Zambia (same staff, same lions and evidence of transfer of lions and funds between the two in the public domain) from three separate unethical South African lion breeding operations between October 2008 and December 2010. ie from the canned hunting industry. I sat down with Andrew (Connolly of Antelope Park/ALERT) in Leeds in 2012 and explained my concerns about the lack of progress and constant production of cubs for the walking programmes. He told me it was their only form of income to bring the lions to the future stages, but acknowledged there was a huge bottleneck. I can assure you that the lions are not being sold for canned hunts. But the continuous accumulation of lions is worrisome. So make of this what you will. It may well be that the project started with honest intentions, but it was doomed to fail for a number of reasons. Think about it – they are breeding cubs that are going nowhere. Assuming 50% males, most of whom will become surplus males even if all the goals of the project were met (they won’t be) what will become of the ‘surplus males’? Well you surely do not need that spelled out, do you?